The weekend concluded on Sunday 15th with the MLAGBs National 500 yard Rifle Championship for Enfield Rifle and match rifle. 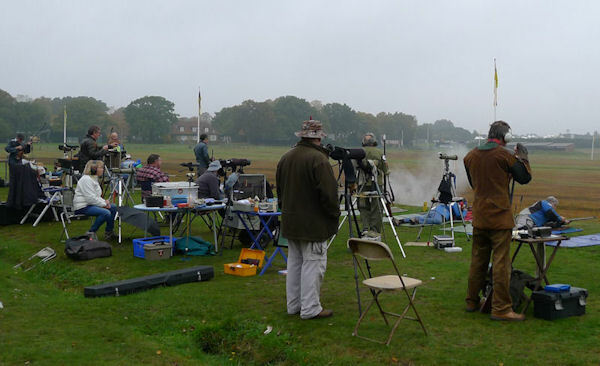 The conditions made for tricky shooting, with wind direction and strength changing on a regular basis, and light varying from slightly overcast, to sunshine (with strong mirage) and sunshine / cloud patterns. 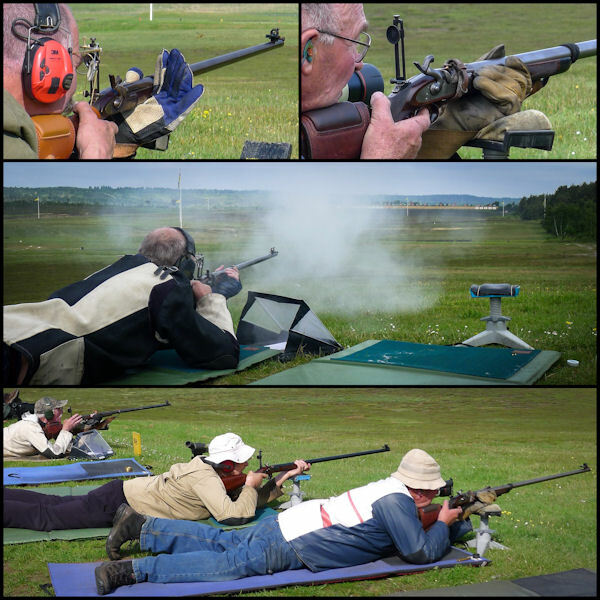 The Volunteer Trophy offers members chance to shoot military match rifles with open rear sights. These rifles generally have the same external appearance as the Enfield rifle, but rather than its .577 bore or generally .451 cal. Some members elect to shoot this competition with their Enfield rifles. The 900 yard Championship for the B. Custance-Baker cup is for match rifles and those used generally are of the later form with pistol grip stocks, heavy match barrel and aperture sights. There’s a good mix of rifles used, and besides the ubiquitous Pedersoli Gibbs, there were a good number of custom built rifles and original match rifles. The Branch is pleased to learn that member Alan Beck has volunteered for, and been appointed as the Great Britain Team Captain for the MLAIC Long Range World Championships in Australia, 2017. This year then will be an important one for members wishing to be considered for selection to the GB Team and they should let Alan know so he can keep track of results through the years competitions. Branch competition commences at Bisley on Friday 8 April with the Asquith Cup. This is a challenging aggregate competition for Enfield rifles with 15 shots at each distance, 600 and 800 yards. It offers a fascinating opportunity to gain some insight into how accurate this military rifle can be at long range under the controlled conditions of a target shooting range; ie. known distances, slow fire, prone shooting, and no one firing back at you! This ties in with the weekend shooting of the MLAGB National Rifle Championships at 200 and 300 yards. May sees opportunity for shooting military match rifles at 600 yards on Friday 13 May in the Volunteer Trophy competition, and the following day match rifles in the Branch 900 yard Championship for the Barry Custance-Baker Trophy. This weekend concludes with the MLAGB National 500 yard Rifle Championships. The last of the MLAGB National Rifle Championship matches fired at mid-range is at 600 yards and held on 4 June. All these Championships have competition for both Enfield rifle and target rifle. The Branch 1000 yard Championship takes place on 5 June and comprises 30 shots; a long course of fire requiring consistency over the day of shooting.